What Are Your Fees For Tax Appeals? Our success has been based, in large part, on our referrals. We understand that tax appeals are a word-of-mouth business, and unless your clients are satisfied, you cannot establish lengthy years of representation or referrals. We take pride in offering a fair fee system for our tax appeal clients. We typically like to provide clients with fee options for their tax appeal by offering either contingency or flat fee agreements. We analyze every single case first, before offering representation or a proposed fee. We believe this helps ensure that legal fees are not quoted unless we truly believe there will be a financial savings to our clients and hopefully referrals in the future. Please note that we do not accept all cases, but do offer free consultations on all cases. What Are Your Contingency Agreements? The contingency fee covers the ENTIRE appeal process. The contingency fee agreement means that we do not receive a legal fee unless we are successful in reducing the owner’s property taxes. Our contingency fees vary depending upon the case, but typically we quote 40% to 50% of the savings for ONLY the year(s) under appeal. This means, if we are successful, and save a property owner $5,000.00 per year in property taxes, then our fee would be 40% to 50% of the savings ($2,000.00 to $2,500.00). We only charge for the year(s) under appeal and the property owner continues to benefit from these savings in future years with no fee. We do review each case first, and then quote a contingency fee if we believe is fair for both the client and us. Also, Many of these appeals may extend into multiple years, and it is important to know whether or not you will be charged for a year which is not under appeal. Some law firms may actually charge for future years after your appeal has ended. We NEVER charge for a year which is not under appeal. It is important that property owners understand the contingency fee structure that has been offered before hiring an attorney for their appeal. What Are Your Flat Fees? In the alternative, we also often quote flat fees for our representation. These flat fee offers also covers the ENTIRE appeal process. Flat fees are quoted on a case by case basis and are a smart financial option for clients with significant property taxes at stake. Before retaining an attorney, property owners should confirm that any and all hearings and appeals are covered by a flat fee representation. Many property owners will call us stating that other lawyers charged them for a hearing and now want to charge more for the second appeal level. This never happens with us. Once retained, our representation under both fee options includes both the formal hearing, and the Board of Viewers hearing (if necessary) for any and all years under appeal regardless of the amount of savings. Our fees also include any actual trial or litigation necessary at the Board of Viewers. We believe our experience with actual courtroom litigation of these cases is an advantage for our clients, and if you choose a flat fee, all of our trial time is covered. It is important to note, that we do not accept all cases and only represent a property owner once there is a signed fee agreement in place. We work hard to advise clients whether or not it makes sense financially to retain our services and client satisfaction is our primary objective. 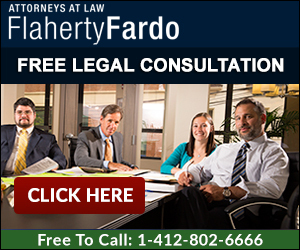 If you would like a free consultation and quote on a potential tax appeal, please complete the form below or call attorneys Noah Paul Fardo or Nicole Hauptman Amick directly at 412.802.6666.